"This is almost easier than making it with a mix and a lot tastier! The best part is that you can make it with ingredients already in the fridge. I would suggest making a double batch though, because this is a crowd pleaser. This is also great with lime salsa." Scoop avocado meat into a bowl and mash with a fork. Stir salsa, garlic powder, chili powder, and hot pepper sauce into mashed avocados. 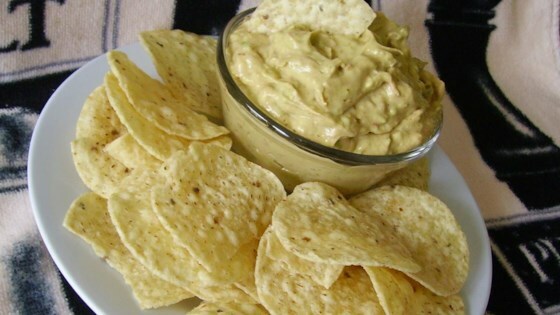 Spread mayonnaise over guacamole. Cover bowl with plastic wrap; chill in refrigerator for about 1 hour. Stir mayonnaise into guacamole just before serving. So good and so easy! I used fresh minced garlic and added a little salt and it turned out great!